Actress Jennifer Lawrence is featured in a new trailer for "Mockingjay — Part 1," the third film in "The Hunger Games" series. 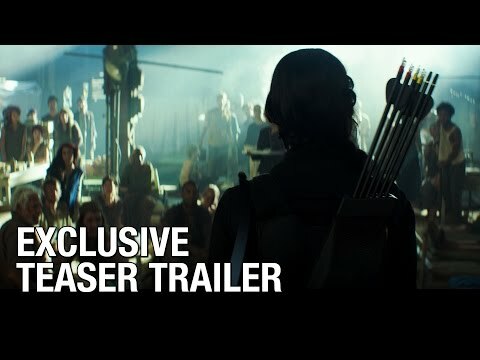 While this video, released Sunday, is the third teaser trailer, it is the first to feature Lawrence's main character Katniss Everdeen. Actor Philip Seymour Hoffman, who died in February of this year, also appears in the latest trailer. Hoffman plays the part of Plutarch Heavensbee who is a leading role in the next film. According to Fox News, before his death Hoffman had completed a majority of his scenes for "Mockingjay — Part 1," which will be released on Nov. 21, 2014, and "Mockingjay — Part 2," to be released on Nov. 20, 2015. Watch other Clean Cuts here. The Clean Cut is a daily feature that highlights family-friendly videos.